A grammar device that shows possible results from certain situations is called a “conditional.” The presence of the word “if” will usually call attention to them, and some have actually nicknamed them “if” sentences. There are several types, but three “basic conditionals” are used most frequently. This situation is in the future and has a real possibility of happening. There is a good likelihood that Bob will come over. The second also refers to the future but is quite unlikely. It is highly improbable that the speaker will visit the moon. Unlike the first two, this refers to the past and cannot happen. This is in the past and cannot be fulfilled; Jill did not go to the zoo and so her photos are an impossibility. “If” implies that the result depends on one specific condition. “Whether” shows choices or alternatives and generally requires an “or.” “Or not” is often used for yes/no choices; some consider “or not” redundant and some see it as more formal. “Whether” by itself can hint at both positive and negative possibilities. Should “or not” be used with “whether?” Some do, some say “sometimes” and some say “don’t bother.” What is your opinion? Exercise 1 on 2nd Conditionals. Exercise 2 on 2nd Conditionals. Exercise 3 on 2nd conditionals. Watch the video about 2nd and 3rd Conditionals and do the quiz below. Do this exercise to identify the type of conditional sentence. 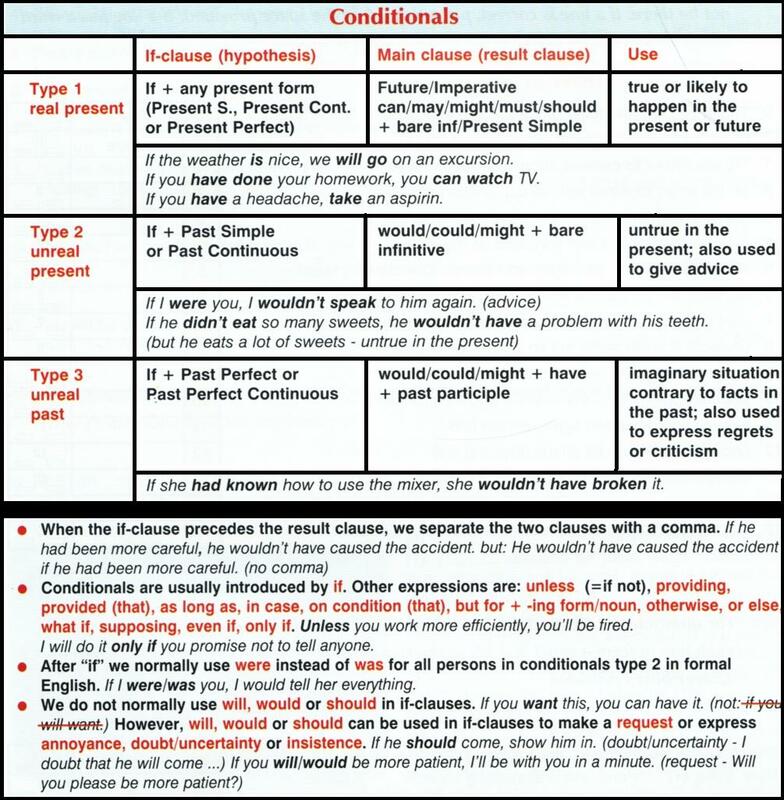 Extra exercises and practice on Conditional Sentences. Grammar on Inversion cases with conditional sentences. Thanks a lot Aline. Glad you like it.